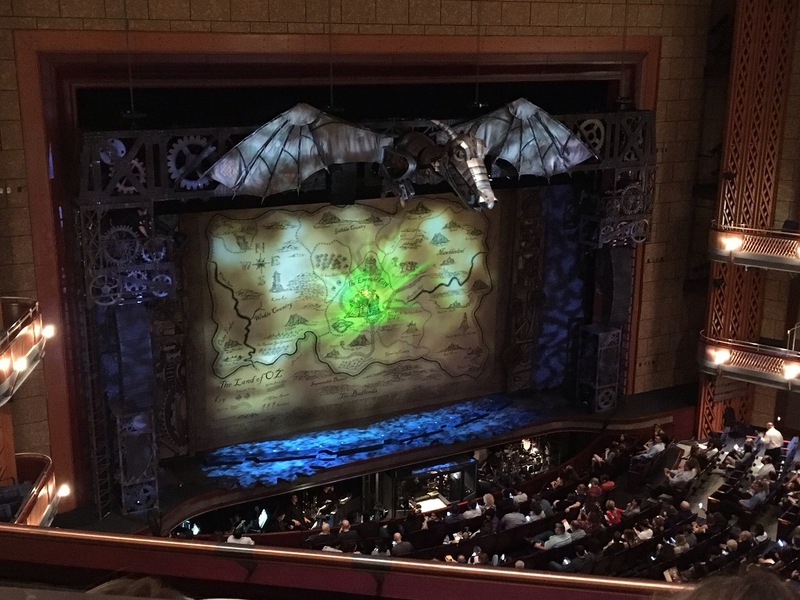 Our seats were in the second row of the balcony, so in the middle of Act 1 when the place started buzzing (literally buzzing), we had a bird’s-eye view of the auditorium. Hundreds of silenced cell phones alerted us to the fact that wicked weather was on the horizon. We were all momentarily distracted from being immersed in the play. Cell phones were checked, but nobody left. Why would we – we were already in a windowless room. I have to say, my husband picked the perfect night for us to see Wicked. I’ve heard of pairing your wine with your dinner, but pairing the weather with the performance is really taking it up a notch.